What is the price of being a hero? What do you risk? What do you give up? How great IS the cost of being a superhero? 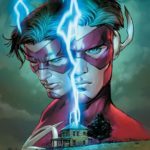 All along we’ve seen the fraying of the relationship between Barry Allen and Bruce Wayne…but is that the only price to be paid in this final chapter of the crossover? To find out more, follow us after the jump! 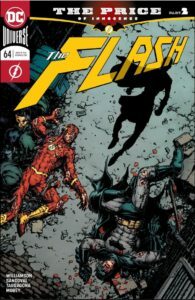 This entry was posted in Reviews and tagged Barry Allen, Batman, Gotham Girl, Iris West, Review, The Flash, The Price, Wally West on February 27, 2019 by Ed Garrett. DC has posted the five-page preview for Flash #65, and you can read it at Adventures In Poor Taste. It’s the last issue of the four-part crossover with the Batman book, and features the duo trying to help Gotham Girl with her mental health issues. “THE LAST COLD CASE” finale! The two greatest detectives in the DC Universe take on the one cold case that will tear them apart! This entry was posted in Flash News and tagged Preview on February 25, 2019 by Lia. 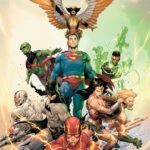 DC has released the full complement of solicitations for May 2019, and here are all the ones relating to the Flash. 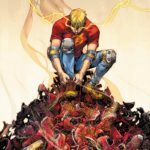 “Flash Year One” begins that month in The Flash book, and Heroes In Crisis finally wraps up to ominous effect. You can see the list in its entirety at CBR. “The Flash Year One” starts here! Barry Allen feels helpless in his life in Central City. As a forensic scientist, he’s always catching criminals after they’ve committed their crimes. 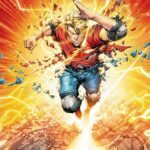 All that changes one fateful night when Barry is struck by a bolt of lightning and doused in chemicals. When he wakes from a coma, he realizes he can run at incredible speeds. Can Barry master these powers and be the hero his city needs…or will the powers burn through him? 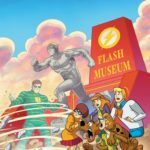 “The Flash Year One” continues! Barry Allen struggles to control his powers as he experiments with his newfound abilities. When one of his tests lands him in a mess, he’ll come face to face with his first villains! The most-talked-about miniseries of the year reaches its stunning finale! The mystery behind the murders at Sanctuary is solved, but the mind behind it is one the heroes never expected. With their deepest secrets exposed, the Trinity has to consider how to carry on. Should the tragedy cause them to redouble their efforts to help their hurting comrades, or will they need to close up shop? The answers will be found in the ashes of this final showdown, and the fates of Booster Gold, Harley Quinn and the rest hang in the balance. 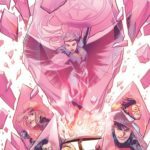 Gemworld rips in half as Dark Opal battles the teen heroes of Young Justice as this huge, in-continuity epic continues. 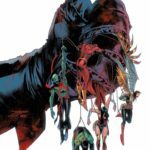 While Robin, Amethyst, Impulse, Teen Lantern and Superboy fight for their freedom, the secrets of Jinny Hex, Jonah Hex’s great-great-granddaughter, are revealed—and it is a DC Universe doozy! “The Sixth Dimension” chapter four! Our heroes have been banished to the prison planet of villains by the World Forger. Stuck with no way of escape, the team hatches a plan to defeat the World Forger and get back to their dimension with the help of a new ally, but where is Superman?! “The Sixth Dimension” chapter five! The League’s plan is in full swing, but one member of the team isn’t on board with their message and sides with the World Forger! Betrayed, there’s only one person who can turn the tide of this battle. Can Superman find the strength to escape his prison planet and save the Justice League, or is the League doomed to live out their days trapped in the Sixth Dimension?! “The Terminus Agenda” finale! It’s code red for the Teen Titans as their plan to capture and imprison Deathstroke has backfired in the worst possible way. Mercy Hall is on lockdown, and all the super-villains have escaped their cells! As the villains team up to take down their captors, Deathstroke makes one final attempt at “fixing” Damian—will Damian finally abandon Batman’s code to save his friends from certain death? “The Terminus Agenda” epilogue! Every decision has consequences, and after the shocking events of DEATHSTROKE #43 (trust us, you don’t want to miss it!) it’s time for Damian and the rest of the Teen Titans to take stock of what they’ve done. But the team barely has time to process before a new threat emerges in the form of Crush’s absentee father…Lobo! Teen daredevil Miguel and runaway Summer travel to the home of the Flash in Central City to steal back the H-Dial as a secret former wielder of the powerful device swears to do anything to become a hero again—including handing the dial to Mr. Thunderbolt, the villainous entity working to steal the Dial. But it’s hard to work together when you can’t trust your partners…so it’s time for the mysterious Summer to reveal her past to Miguel! Over the years, Scooby and the gang have nabbed enough nefarious villains to fill a rogues gallery. But the tables are turned when they have to help a rogues gallery of the Flash’s most nefarious super-villains! Can the gang rescue the Rogues from the ghost of a fellow Rogue—that sinister spinner, the Top? And if they do, can they also rescue themselves from the Rogues? 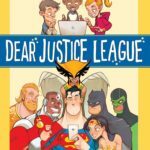 The greatest heroes in the DC Universe, the Justice League of America, answer mail from their biggest fans—kids!—courtesy of Michael Northrop, New York Times bestselling author of TombQuest, and artist Gustavo Duarte (BIZARRO). 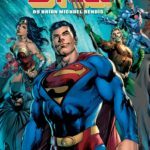 Does Superman ever make mistakes? What was Wonder Woman’s 11th birthday like? Does Aquaman smell like fish? 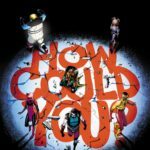 In this new middle grade graphic novel, iconic heroes are asked questions both big and small, and when they are not busy saving the world, the Justice League even finds time to respond. 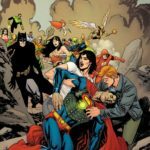 Their honest and humorous answers will surprise and delight readers of any age, as it turns out that being a superhero is not too different from being a kid. 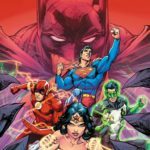 Full of feats, follies, and colorful illustrations, Dear Justice League gives readers the inside scoop on everyday heroics, no matter who wears the cape! 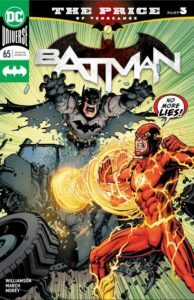 The explosive storyline from BATMAN #21-22 and THE FLASH #21-22 is now available in trade paperback! The Dark Knight and the Fastest Man Alive, the two greatest detectives on any world, unite to explore the mystery behind a certain blood-stained smiley button embedded in the Batcave wall. What starts as a simple investigation turns deadly when the secrets of the button prove irresistible to an unwelcome third party—and it’s not who anyone suspects! It’s a mystery woven through time, and the ticking clock starts here! Retailers: The main cover is available only to accounts in the U.S. and Canada. The International Edition may be ordered by retailers in any region. The JLA faces its greatest challenge—treason within their own ranks! If the team survives, can they ever trust Batman again? And after being thwarted over and over again, Ra’s al Ghul seeks to distract Batman by stealing the bodies of his dead parents while he enacts his nefarious plot! Collects JLA #43-46 and stories from JLA Secret Files #3. A new era begins for Superman as a threat from his earliest origins reemerges to destroy the Last Son of Krypton. As Superman struggles to come to grips with what has happened to his wife and son, he must also face a new threat that’s determined to burn down Metropolis! The six-issue weekly series written by Brian Michael Bendis is collected, along with the prelude story from DC NATION #0. This entry was posted in Flash News and tagged Solicitations on February 21, 2019 by Lia. 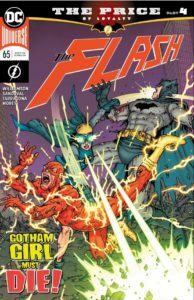 The epic team-up (or tear-apart) continues as Batman and the Flash fight off a horde of Gotham and Gotham Girl clones. Can they defeat them in time to save Central City from the real Gotham Girl’s next attack? And, will this crisis bring Bruce and Barry back together…or split them apart for good? Wanna know more? Follow us after the jump! This entry was posted in Reviews and tagged Barry Allen, Batman, Bruce Wayne, DC, Flash, Gotham Girl, Iris West, Review, The Price on February 20, 2019 by Ed Garrett. Batman and Flash have several things in common – a nose for detective work, a desire to right the wrongs that bad people do…and a single-mindedness that at times blinds them to the feelings of others. What is…the price of that? We are finding some of those answers right here, and they aren’t pleasant. That’s where we stand in Part 2 of “The Price”, in THE FLASH #64. Want to know more? Follow us after the jump! This entry was posted in Reviews and tagged Batman, Gotham, Gotham Girl, Iris West, Review, The Flash, The Price, Venom on February 13, 2019 by Ed Garrett. 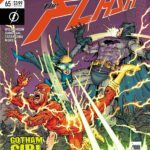 “Cause and XS” Review of S5 E14 of THE FLASH! Any fans of “Groundhog Day” the movie out there? It’s one of those movies that I somehow have to stop and watch whenever it shows up on TV. Tonight’s episode is the superhero version of that plot, and it works brilliantly here. Watch Nora as she tries to save everyone, and tries again, and again, and…you get the idea. It’s “Cause and XS” on THE FLASH! Want to know more? Follow us after the jump! This entry was posted in Reviews and tagged cecile, Cicada, Cisco, CW, Elongated Man, Iris West-Allen, Killer Frost, metahuman cure, Nora, Nora West-Allen, Ralph Dibny, Review, Speed Force, The Flash, Vibe, XS on February 12, 2019 by Ed Garrett.